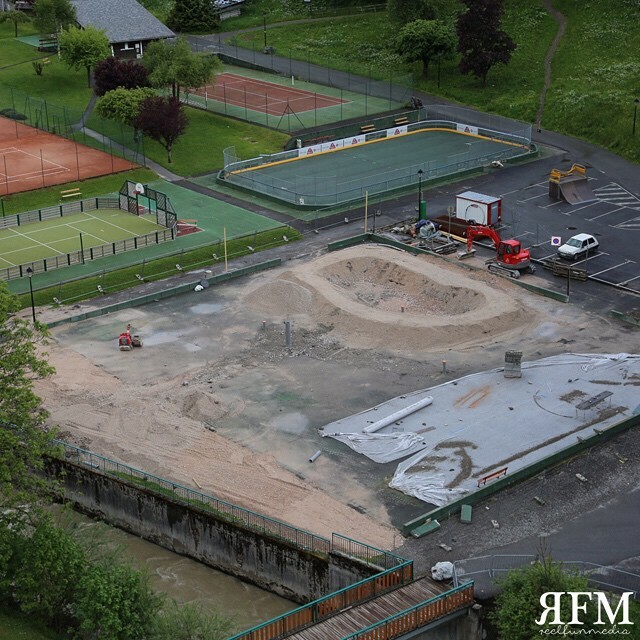 That’s right, Morzine has a new skatepark and the hype is amazing! The campaign has been going on for a few years now, and with great support, making it very exciting to see actual building work going on! The support from the local community has been amazing, especially from last years Cavern 24/7 which was a massive push for the new park to be built on the old Morzine skateparks foundations. The park has some serious features, including a concrete bowl which will make the winter snowboarders of Morzine mega mega happy! The old park from arial view! Situated under Morzine’s bridge next to the tennis courts and Morzine swimming pools, lyes a great spot for people to get on boards, bikes and scooters and cruise around, yet the old park was very, well……. lets say stagnant. The new park features various quarters, transitions, rails, hips and practice areas to suit all levels of rider, including a great spot for beginers and first timers. 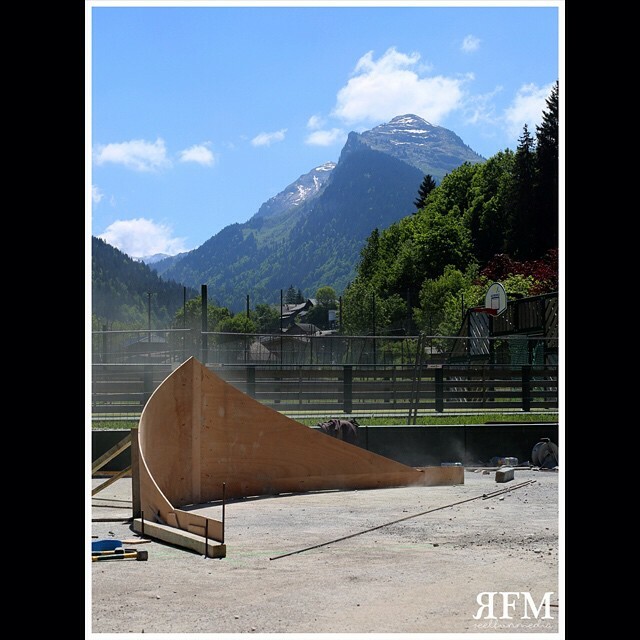 Mountain Mavericks spoke to Stew Monk, a firm member of the Morzine riding comunity about his involvement in the project, including some of his Reel Fun Media photos of the parks progress to date. More info will come when the course is ready, but remember to dust off the board when you come stay this summer, as there is something very special landing soon in Morzine. So Stew, as a skateboarder and lead campaigner whats it been like fundraising for the new skatepark over the past few years, and how stoked are you for it to finally be made? 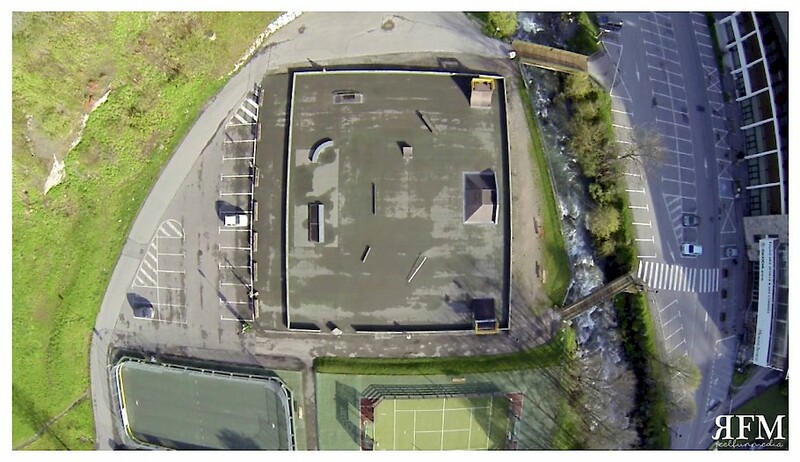 My roll along with Damien Trethau, Hedi Hamdi, Paul Vines was setting up the Concrete Community Association, with the goal of getting Morzine a new skate park that would be well designed and beneficial to the whole community. The fundraising has been fun/stressful/rewarding in equal measure! In my opinion it’s not normal for a community to have raise money towards a project like this but it showed how committed we were to the idea and really helped in reaching the amount needed to finalise a park that would be usable by everybody. 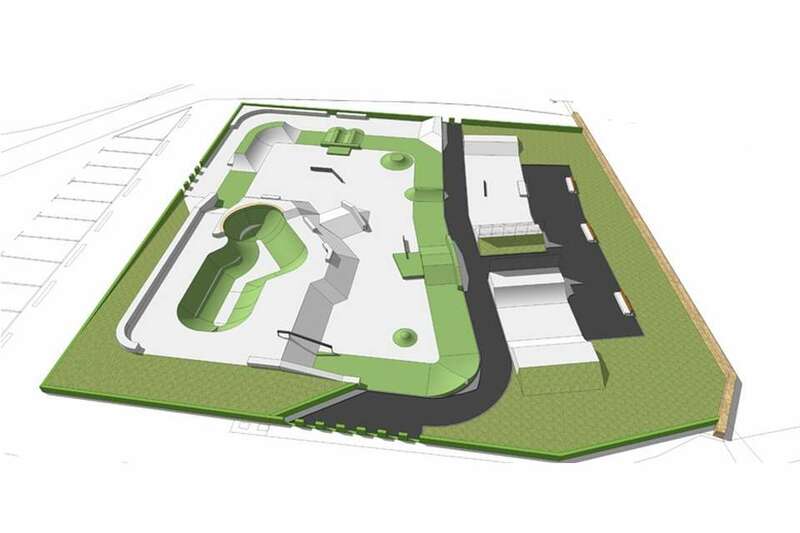 The park plans look amazing, who designed them and can it be rode by all levels of skateboarder/BMXer/Skootererererer? We worked with a skate park designer in Paris (Julien Clement) and have always had the whole community user group in mind throughout the whole process. The park will be usable by everyone. For safety reasons certain times suit different user groups, from experience these times develop naturally. Were there any problems along the way securing such a big project? We encountered a few problems along the way such as the total amount of money available for the project which wasn’t enough at the start. We managed to contact the right people that deal with sport development for the Haute Savoie area and increased the budget to suit our needs. Sometime construction seems easier than it is. 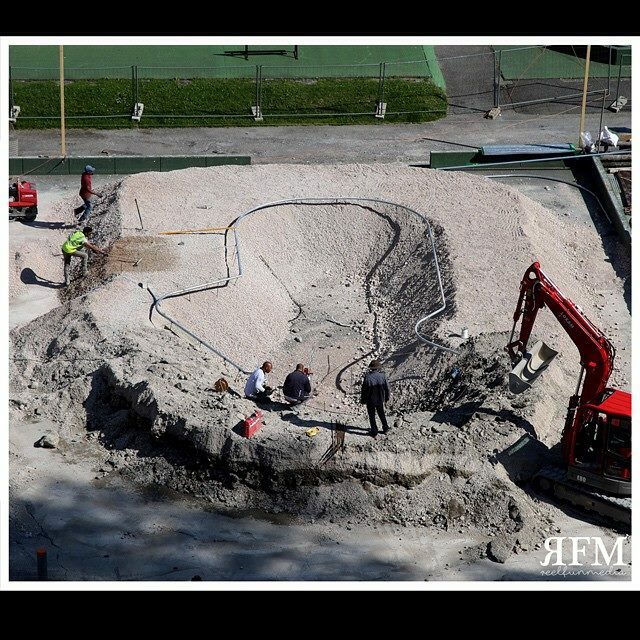 Here the local skateteam intervened just before the construction team got it VERY wrong. This seems hard to skate! Would you say skateboarding helps your snowboarding, or does it harm it? YES, skateboarding can help your snowboarding and Vice versa. Skateboarding and BMX culture is based on mutual respect, social networking, artistic expression and an appreciation of the environment. It’s a way of life that can be learned early on and encourages potential for a more caring community. Go to a skatepark anywhere and see for yourself! When will the park be ready and are there any competitions scheduled this year or next that people staying at the hotel/chalet will be able to come down and watch/compete in? No competitions are scheduled yet but they will happen in the near future. The 1st party/celebration will be the opening of the park. Keep your eyes and ears on alert as it could be as early as June/July time. Anyway, over here at Mountain Mavericks we are mega stoked to go ride this beauty and if your out staying with us for Bike, Golf or Activity Weeks this summer and you want to give it a go we will certainly schedule you in a few hours! We will also have more details about a Morzine Skatepark Opening Party at L’Aubergade with some fun planned celebrations! Check out Stew company Reel Fun Media here. It will make surfing the internet very enjoyable….